Hello, yes. I spent 6 hours painting this background (warning: huge image!) for a stupid joke that I'm 90% sure has been made a million times. Please do not revoke my artist license. 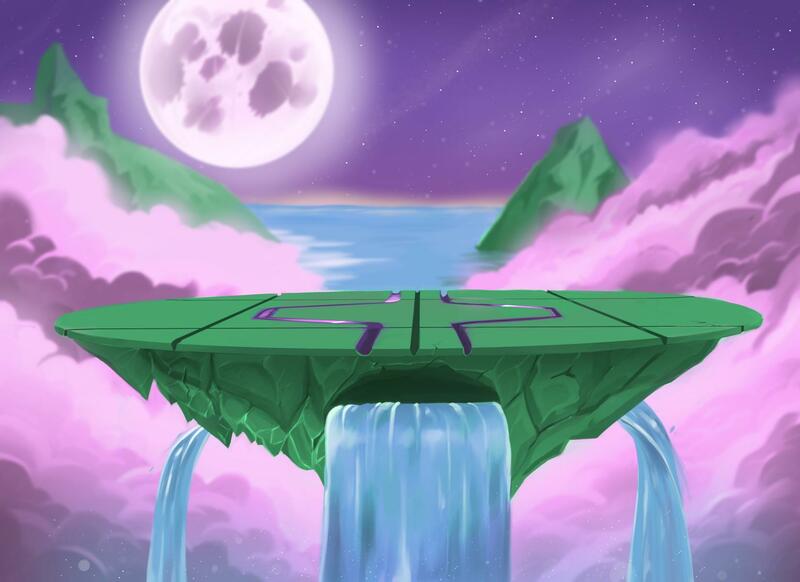 I just really wanted an excuse to make my own smash bros stage, and tell a bad joke that makes me laugh. I never thought I'd say it, but I'm actually really excited for the Miis. Once upon a time I would've been livid had they been included. And Pacman. I can't tell you how excited I am for Pacman in smash bros. The four big gaming mascots all in one game together. It's going to be a good time!